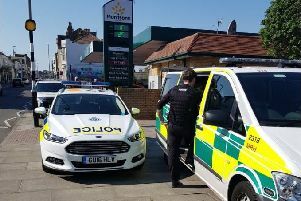 Hastings and Rother Neighbourhood Policing Teams were out and about last week on the hunt for uninsured and untaxed cars, as well as vehicles with no MOTs. The days of action resulted in eight vehicles being dealt with for no insurance, two for no road tax and three were found with no MOT. The drivers were either dealt with by tickets or summons reports to attend court. PC Lloyd Archer, from the neighbourhood policing teams, said: “It’s really important that you make sure your vehicle is legally roadworthy. “We will take positive action against anyone using vehicles which place other road users at risk. “Uninsured vehicles will be removed from the road and we will deal with the drivers for motoring offences.